I was burning bridges over the Thames. too familiar not to own. you said Meet me in the morning in Grenada. and buckets of rain back to England again. … lonesome when you go. This is a very old poem. I wrote it as an exercise in 2007 about my O.E in 2003. This version marks ten years since I was lost in Spain and Morocco. 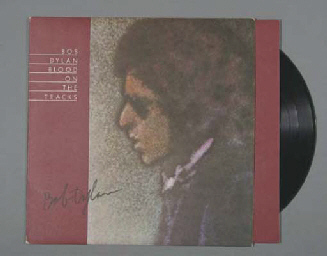 ‘Blood on the Tracks’ is one of my all-time favourite albums and I find comforting references to it all over the place. The book I’m now reading mentions it in paragraph one and the book I’m writing...? Well we’ll have to wait and see. Love it, Saradha. “Blood on the Tracks” is one of my favourites too. Every track is a gem.